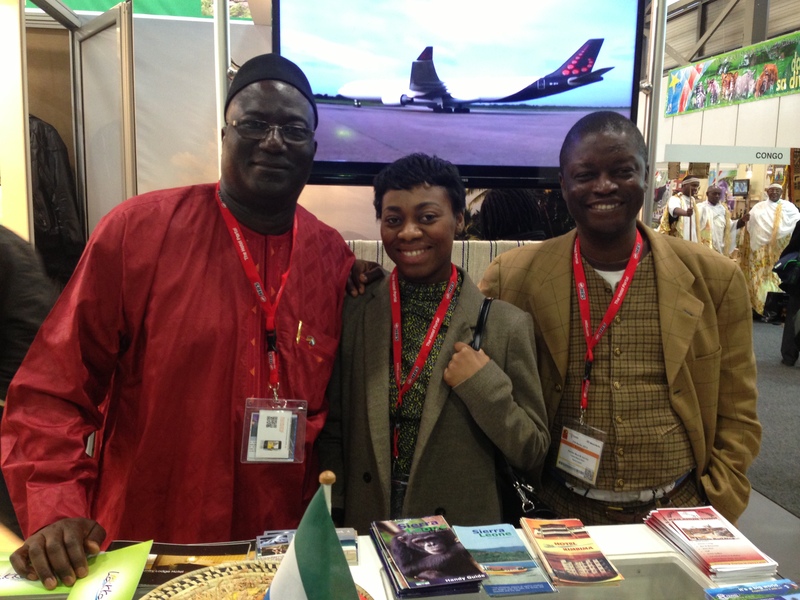 In early 2013, I was asked to support the The National Tourist Board Of Sierra Leone at the ITB trade show in Berlin. This was my first freelance project under MAP so I was very excited at securing work and happy to be travelling to Germany where I could put my German to practice! This was a great trip as I met many Sierra Leoneans living in Berlin, in particular the Sierra Leone Ambassador to Germany who welcomed us into his home to say thanks for making the event a success. The Brief My African Passport (MAP) was tasked by NTBSL with supporting them at the Berlin ITB Convention. The ITB is the world’s leading travel trade show; an event that attracts over 174,000 visitors and company representatives from 189 countries We were asked to help promote the various aspects of Sierra Leone’s tourism to both a business and consumer audience, including hotels, regions and the various tourist activities available in the country. The Undertaking We travelled to ITB 2013 to support NTBSL at their stand for a week. MAP helped in various aspects of marketing – gathering data and contact details on potential visitors and businesses. We also photographed and recorded the event for promotional uses – taking over 200 photographs and various videos Asides from working the stand, MAP also took to the floor of the event, networking with attendees who hadn’t initially been to see NTBSL, driving interest and attention towards the stand and further increasing sign ups. As well as this, we also translated from German to English and Creole to help NTBSL communicate with Germans and Sierra Leoneans on site. In addition to building awareness at the convention, MAP also operated NTBSL’s social media for the week, driving online engagement and promoting the event daily on Twitter, Facebook and YouTube. We helped NTBSL increase its visibility both at the event, and online, consequentially helping Sierra Leone compete with larger, better known tourist destinations within the African continent such as Kenya, Nigeria and South Africa. MAP gathered data and contact details of over 500 visitors to the NTBSL stand, data now being used by the NTBSL to communicate and promote the country’s tourist attractions. We arranged over 15 B2B meetings between NTBSL, tour guide companies, airlines and online holiday agents – building fruitful new partnerships that have increased tourism and interest in Sierra Leone. MAP also provided a translation service for NTBSL, enabling them to effectively communicate with the both the German and international audience. With MAP’s support, ITB 2013 was a great success for NTBSL – bringing a 30% increase in visitors to their stand from the previous year!